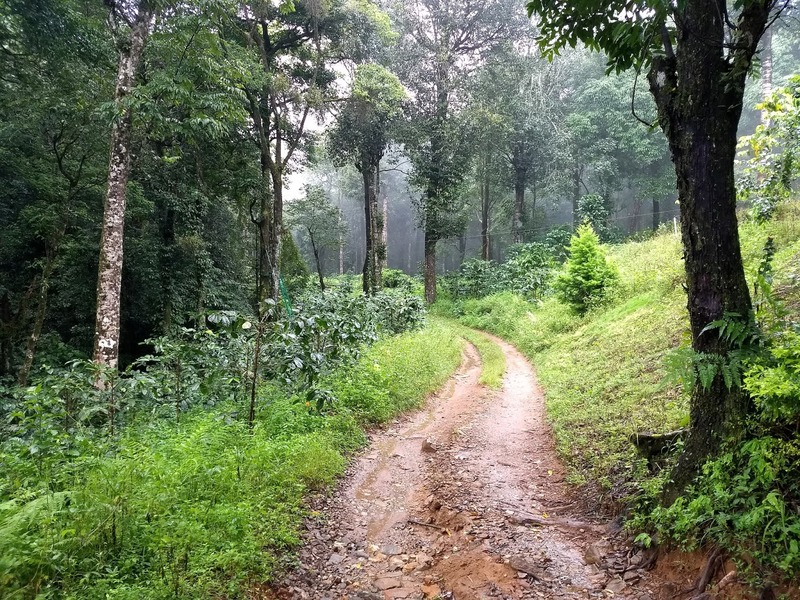 Road Less Travelled: Road Tripping To Wayanad! Road trips are a great way to explore India, the freedom it offers is exciting to say the least. Truly blessed to be born in such a culturally rich Nation where every few hundred kilometers offers drastic changes in cuisines, languages and cultures but values, love and affection remain unchanged. We hit the road to visit one of the most celebrated places from God's Own Country- Wayanad in Kerala. A 350 km pleasant bike ride from Bengaluru was impeccably planned and well organized by 3 start ups- Onn Bikes, Scout My Trip and Wandertrails. Onn bikes a bike rental start up provided the bikes that were in great shape. They had arranged for the much sought after bikes from Royal Enfield stable. Scout my trip helps everyone organize travel and plan exciting itineraries. Wandertrails a one of it's kind experiential stay options and activities platform which has all properties verified and strives to give unique experiences for travelers. First time 3 travel starts ups got together to host riders and bloggers. Early morning ride started from Electronic city, 8 bikes -7 bullets and 1 avenger were all parked waiting to kiss the road. A good briefing as to who would lead the ride and then everyone chose their respective numbers to follow the lead and the tail was decided. 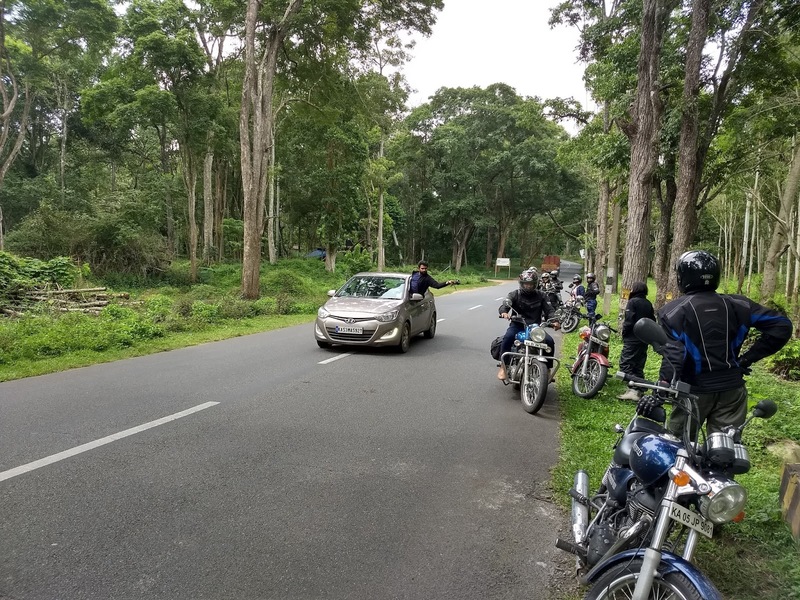 Clear instructions were given to follow the lead and stick to the numbers in a zig zag pattern and at no point in time would the order be compromised.The zig zag pattern was to ensure that in case of a sudden brake the bikes do not collide. We had 2 cars as well with us to take care of our luggage and also the crew to document out ride and shoot our videos. 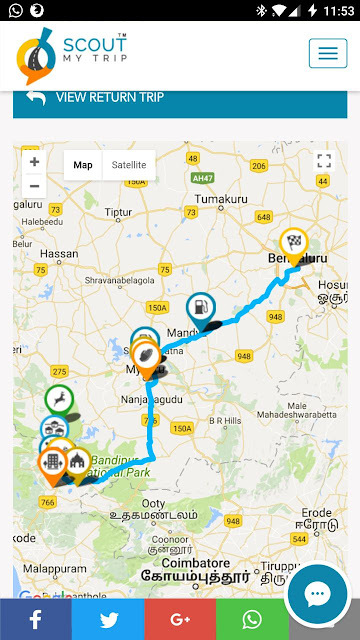 We zoomed past on the most beautiful stretch of Bengaluru - Mysore road i.e Nice Road and it was a sheer delight to be on this beautiful highway with pleasant weather that made the ride even more enjoyable. After riding on this brilliant stretch, we stopped at one of the many Kamat Hotel branches on the highway and had a proper South Indian breakfast and ended it with piping hot filter coffee. Mother Nature was very generous and provided the best conditions for a perfect ride. 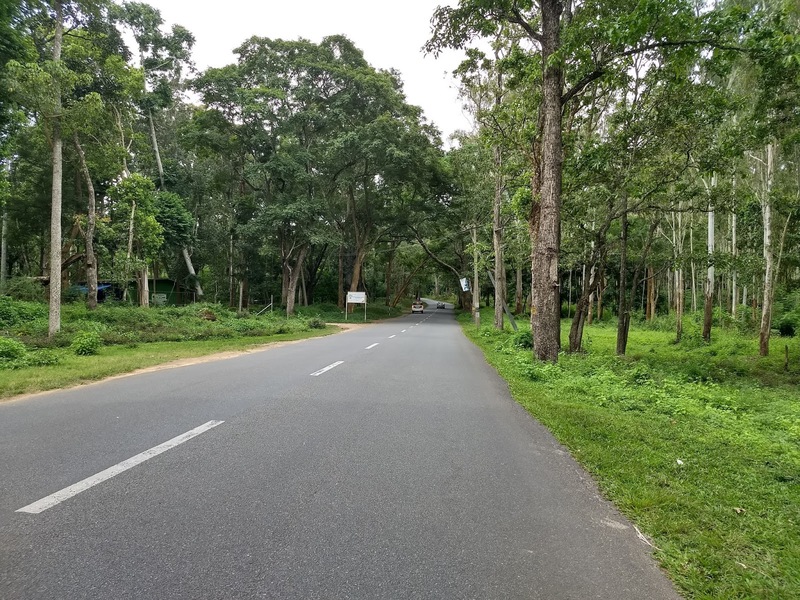 The absolute black top roads that lead to Wayanad from Bengaluru took us through the picturesque Bandipur National Park.The monsoon added a lovely dash of green to the surroundings. It was an amazing feel to ride with such wilderness for company. Post sunset, we reached our destination covering 350 km and the ride did end but not our journey. To reach our resort up the hills, we had to opt for an exciting steep climb and that was the highlight of the trip. 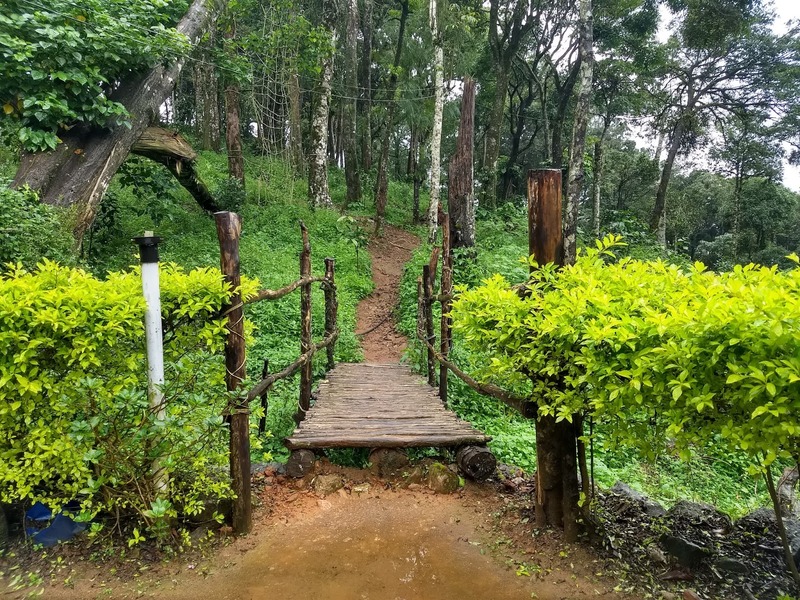 A 6 km drive in a 4x4 jeep that would take about 45 minutes to reach our destination- Dare Nature 5000 resort which is the highest property in Wayanad. We parked our bikes in a safe location and hopped onto the jeep. The drive was the most bumpiest ride but it was epic experience. The entire drive was totally worth it. It looked more like being in a roller coaster rather than a jeep and at one point we crossed a bridge over a water fall. Since the sun was down we could only hear thundering sound of water falls but the sound of gushing water made us happy as we knew this would be an epic experience and in true sense "Being amidst Nature." The place was beautiful, right in the middle of nowhere and we were the only souls around. It was the best way to spend a vacation. 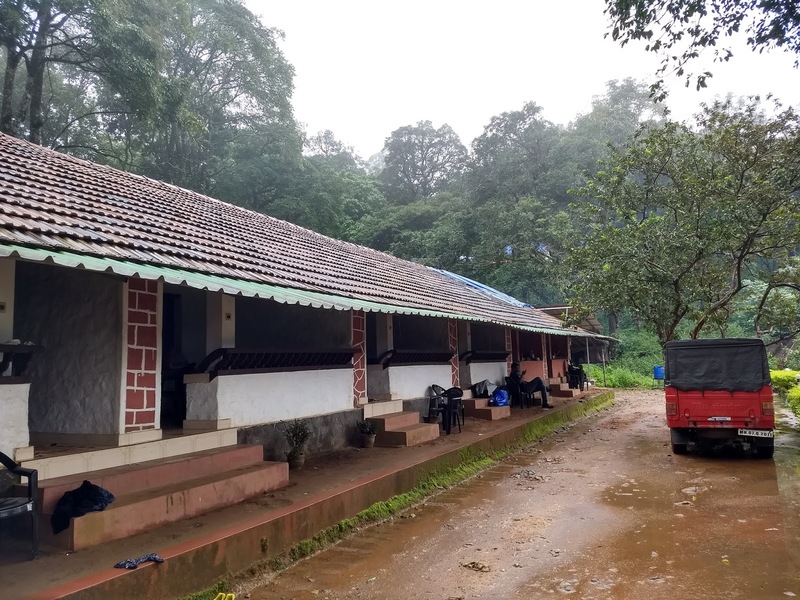 It offers basic accommodation, given the remoteness and beautiful location. Basic here is luxury! In life, experience counts more than creature comforts. The views from the resort are killer to say the least. The resort offers a few adventure activities such as zip lining, laddering et all. With no gadgets, no signal, the property was really beautiful and we celebrated the end of a ride with a bonfire and sharing stories and bonding over the love of food. 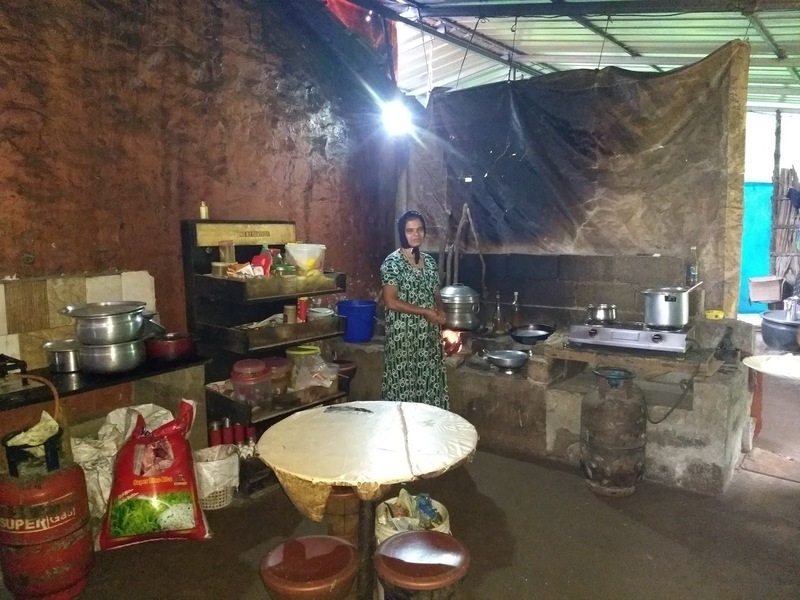 The authentic Kerala food served with so much love and cutting chai and rains was a better love story than DDLJ. 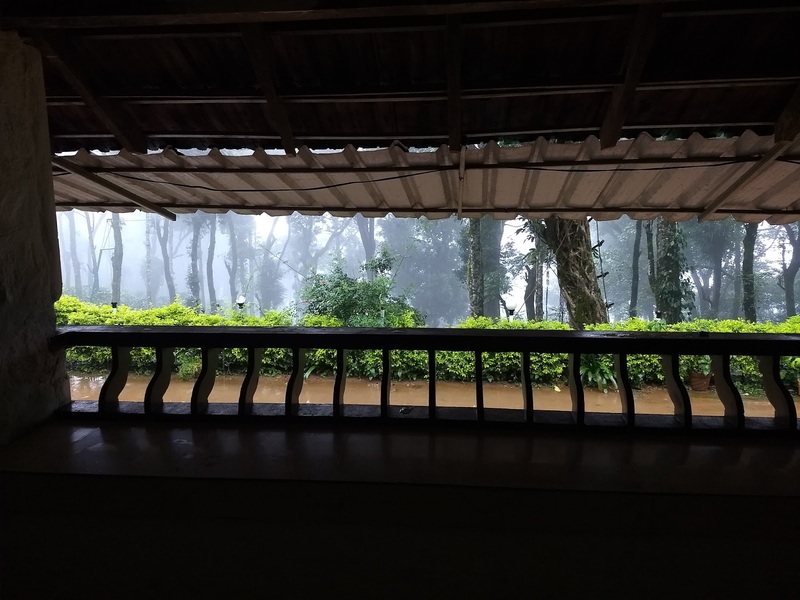 The next day it continued pouring and we had planned for Wayanad sightseeing but decided to change our plans. A short trek from our property, mind you the property spreads over 40 acres of green vegetation, led to the starting point of a massive waterfall and so we decided to head there after a hearty breakfast. All of us were prepared with appropriate rain gear as it continued to pour and we started our hike. It was a short hike but it was totally fun and we were walking on a small path laid out in between the forest and after crossing a few small water bodies we reached the massive waterfall. En route we were all introduced to natural and free leech therapy, worry not they are harmless and a dash of salt gets them off you. So in the meanwhile let them purify your blood. After spending a couple of minutes getting the leeches off our bodies, it was time to plunge into the ice cold water. With monsoon the waterfalls came alive and we stood under the thundering falls and the ice cold water was like an amazing spa treatment. It was more like our own private falls and we had the time of our lives getting completely drenched and enjoying what Nature had to offer. All days we were pampered with amazing food made with lots of love. In the evening, our caretaker took us to another trail path that led to a view point and it is the highest view point in Wayand at 5000 feet above sea level. The view of the town from there is mesmerizing. Post that we were treated to yummy pakodas and pipping hot milk tea and cutting chai. We ended the day with some amazing chicken curry and dal for dinner and playing Mafia. All of us bonded so well that it was hard to believe that most of us were meeting each for the first time. Our ride back to Bangalore started early the next day and with some spells of drizzle, we were spared by the weather Gods for majority of the ride. On our way back we stopped at Roti Dhaba near Columbia Asia Hospital for lunch and the food was finger licking good. The trip could not have been planned any better. Everything worked out amazingly. The bikes were in pretty good shape, we had the most amazing stay with some beautiful experiences that we will cherish and the destination and the ride was just perfect. With some beautiful memories and some amazing friends we wrapped up our wonderful ride and headed back home. The trip was planned and sponsored by Scout My Trip, Onn Bikes and Wandertrails. Thanks Ami, likewise we were glad to meet you. Glad to rekindle the memorable trip. True Niranjan, it was a fun trip. Glad you liked our post :) so true Wayanad is one of the best getaways in India. I am glad you guys could come for the trip, and have fun! Humbled by your kind words Vineet :) The ride was very scenic and that's the best part. Being a co-rider I feel I am more at an advantage as I have the liberty to see things around more leisurely and scenic rides make the trip even more enjoyable! Thanks Saakshi, glad you liked the post. Nice Post, I appreciate it. 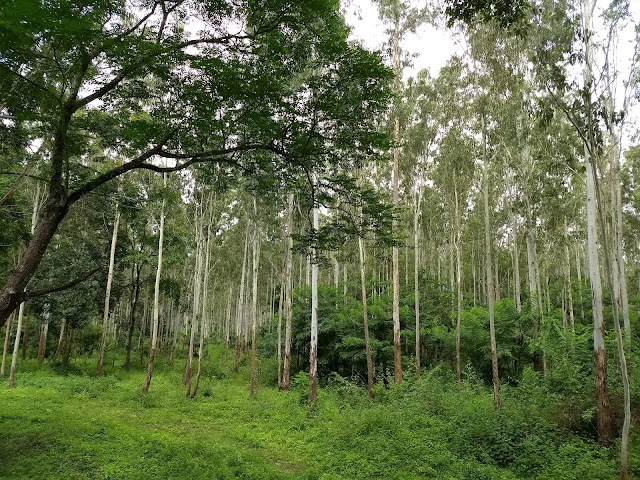 Wayanad is such a beautiful place. By reading this post i feel like a live visual experience. You can also experience the exquisite places like Ooty by exploring life in Tamil Nadu. 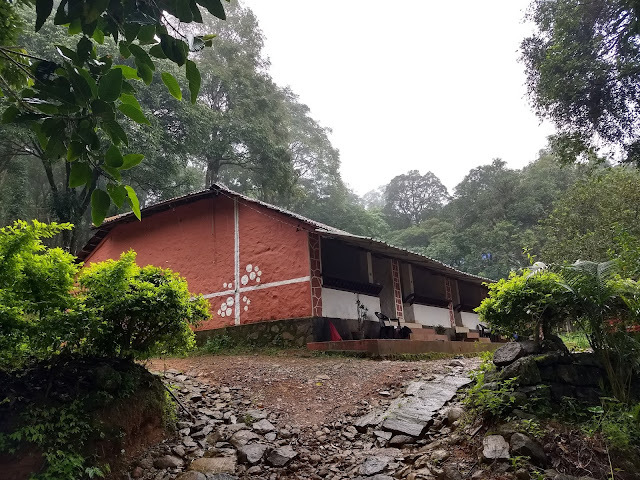 I suggest to prefer homestay for your comfortable stay.These homestay accommodation in Ooty make your visit memorable.